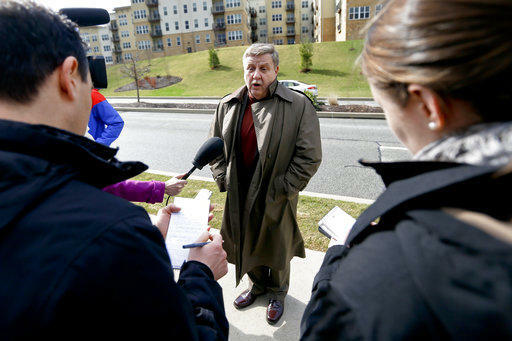 Republican Rick Saccone, center, talks with reporters before going on a tour at Range Resources Wednesday, March, 7, 2018 in Canonsburg, Pa.
Conor Lamb, the Democratic candidate for the March 13 special election in Pennsylvania's 18th Congressional District, greets supporters during a rally at the Carpenter's Training Center in Collier, Pa., Tuesday, March 6, 2018. The Republican congressional candidate running in Pennsylvania's special election next week wants to be President Donald Trump's "wingman." Republican state Rep. Rick Saccone embraced Trump as he faced reporters on Wednesday. He noted that the Republican president has been getting "beat up" recently. Saccone said: "He needs help. He needs wingmen down there. I'm an old Air Force guy. I want to be one of his wingmen to help him implement that agenda." Trump's approval rating nationally has hovered near record lows for much of his presidency. But he's viewed more favorably in the western Pennsylvania district, which includes more Republicans than Democrats. Trump is scheduled to visit the area Saturday on Saccone's behalf. Authorities say a small fire believed to be due to contraband prompted a partial evacuation at the Allegheny County Jail and sent a guard to a hospital. Allegheny County officials said the blaze at the Downtown jail broke out at about 3:20 p.m. Wednesday within a cell and is "believed to have been started by contraband in that cell." All 80 inmates of the pod were evacuated to another area of the jail and guards had the fire out before Pittsburgh firefighters arrived. Gov. 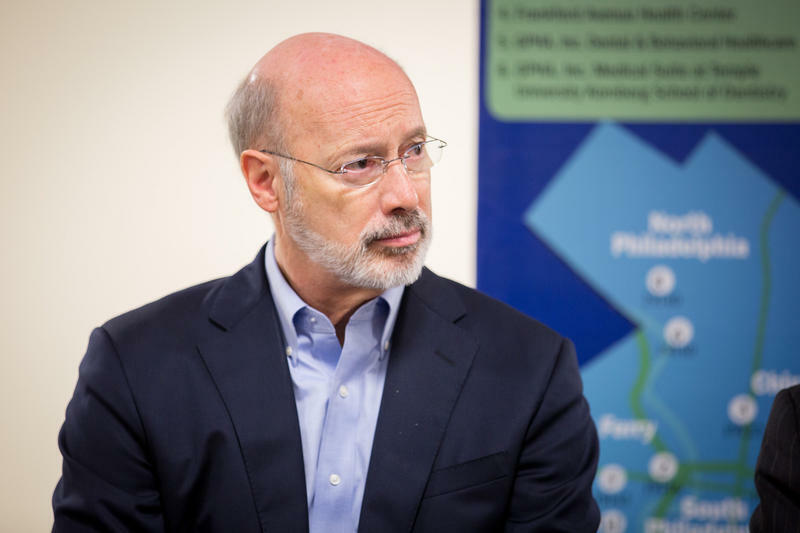 Wolf tells WESA's Kevin Gavin there is a bipartisan effort to change some of Pennsylvania's gun laws. Three weeks after the school shooting in Parkland, Fla. that left 17 dead, there seems to be some momentum for action on gun reform bills in Congress and in the legislatures of states, including Florida and Pennsylvania. 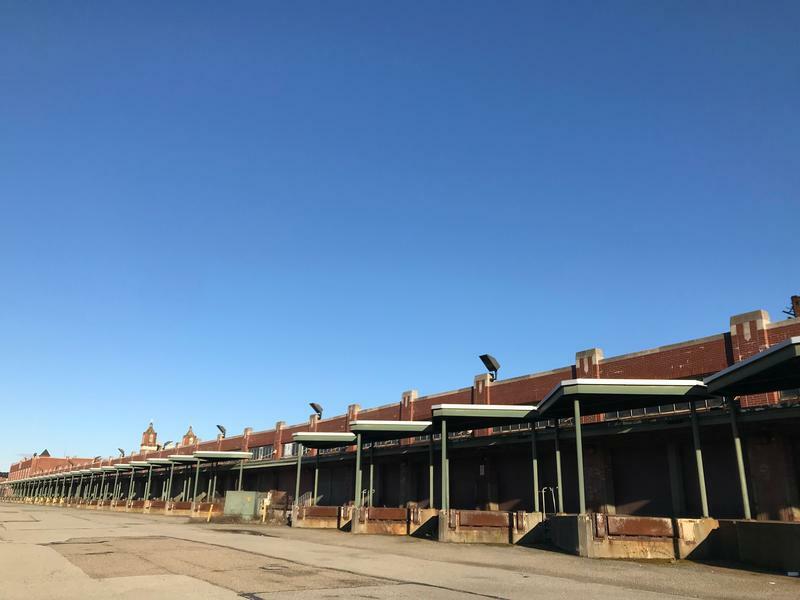 A contract to redevelop the Strip District’s Produce Terminal building is close to being finalized, city officials said Wednesday. Dan Gilman, the mayor’s chief of staff, said it’s a complex deal but the parties were working through some critical final details with developer Dan McCaffery of McCaffery Interests. The project is expected to cost $62.6 million.